Read before you begin: You will not be able to save your answers to complete this ROCKET GRANT application at a later date. Before you begin the form below, review the Heritage Area Management Plan and complete the required narrative/budget document (which includes project terms). Save the document on your computer/server and then upload it with your application. Guidelines: Keep in mind that all mini-grants (<$5,000) must be matched 1:1 with non-state funding. Up to 25% of the matching funds can be in-kind. For example, if you are requesting a $1,000 grant for a walking tour brochure with a total budget of $2,000, no more than $250 of the matching side of the budget can be an in-kind donation such as volunteer time to research/write the content. $750 of the match should be cash from another grant source or your existing funds. You should be able to provide the following materials upon request: IRS letter of determination, bylaws and articles of incorporation (if a nonprofit organization), municipal charter or other document that confirms status (for government agencies), and your latest financial statement. Once you have submitted your application you should receive a confirmation email from the staff. Contact aaron@anacostiatrails.org if you have persistent problems with submission. •	Trail Support Grants: These grants are for cycling, pedestrian, and trail amenities which support local and tourist use of our trails and help connect to partner sites. Examples include bike parking, wayfinding, bike repair stations, and bottle fill stations. Requests should not exceed $500 (or a total minimum project cost of $1000). We will only award $2500 in this category each year. Projects MUST identify tourism benefit from project. •	Education & Bus Grants: These grants are for supporting educational programs which will connect K-12 students, home schooled students, and/or after-school programs to the history, art, and culture of the region and our partner sites. Examples include the cost of creating a “museum-in-a-box,” traveling programs, educational planning, program implementation, and costs for field trip buses. Requests should not exceed $1000 (or a total minimum project cost of $2000) unless directed by staff. We will only award $5000 in this category each year. Project MUST identify tourism benefit from educational program OR identify how applicant will work with PGCPS to encourage student field trips. Letters of support and partnership from PGCPS are encouraged. If the project is a WORKSHOP, CONFERENCE, or SEMINAR, please contact staff for different requirements. 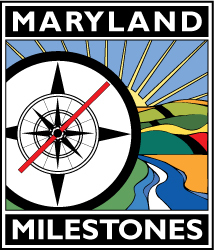 •	Non Capital Grants: These grants are for general projects which preserve and/or promote the history, art, culture, and natural resources of the certified Maryland Heritage Area. These projects can be used in a variety of ways, but may not be used for capital construction. Project examples include walking tour brochures or websites, event promotion, exhibits, oral histories, podcasts, preservation work, interpretive signage (NPS standards required), digitization projects, printing, and much more. Projects must be less than $5000 (minimum project total of $10,000) and only $15,000 will be awarded in this category each year. Project MUST identify how the project relates to the Management Plan Interpretive Themes, OR tourism benefits generated, OR identify preservation issue resolved through project. •	Technical Assistance Grants: Applicants seeking technical assistance such as a consultant must check with staff before applying. These grants will not exceed $7500 (or a total minimum project cost of $15,000) and must have a consultant identified prior to beginning the project. An agreement with Neighborhood Design Center has already been made to provide direct technical assistance to applicants seeking certain types of consultants. We will only award $7500 in this category each year. Project MUST identify how tourism benefits will be generated from this technical assistance. Grants will be received on a rolling basis with reviews occurring in January, May, and September. Awards will be made immediately after the review committee has made a recommendation for approval. The final date to submit an application in FY19 will be April 30, 2019 to give time for a final review and award prior to June 30. For questions on the process, contact the Anacostia Trails Heritage Area Inc. office.